I just returned from NY where I got to record keyboard tracks for some of Elaine Silver's upcoming CDs! 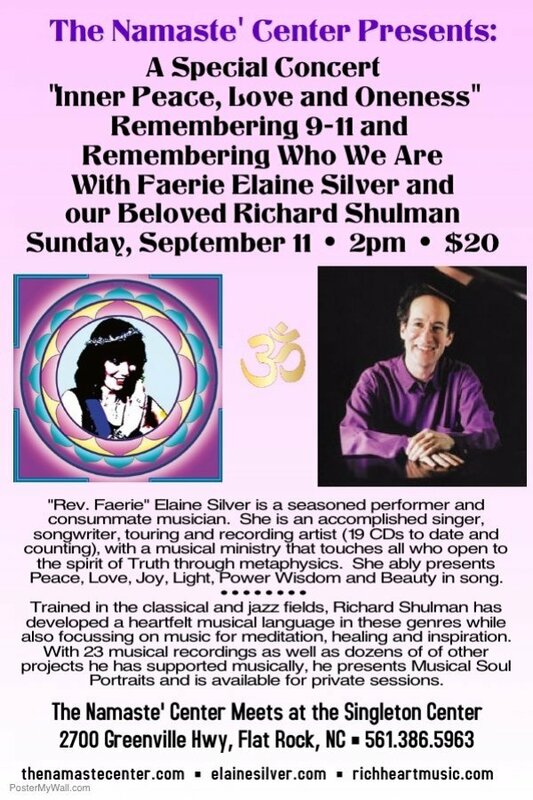 We will be playing two deeply spiritual concerts (Waynesville & Flat Rock, NC) to honor 9/11. Sun. 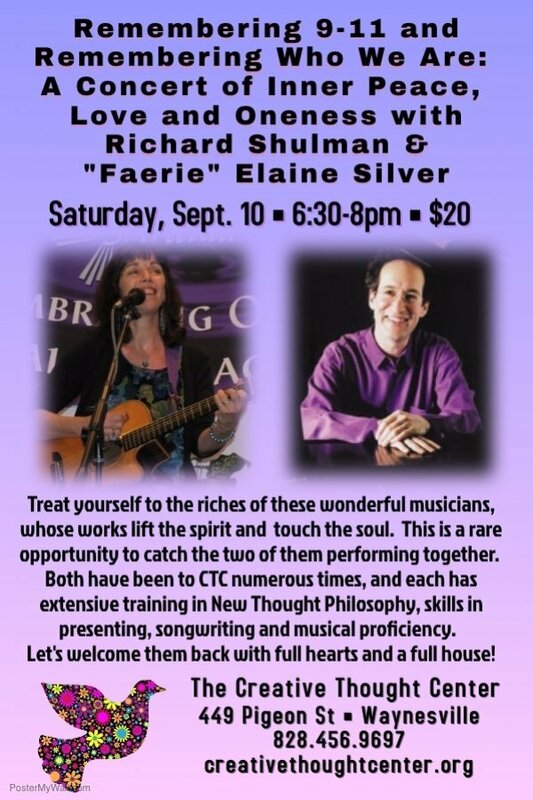 Sept. 11, 9:15 & 11:00 am providing music at Unity of the Blue Ridge 2041 Old Fanning Bridge Road, Mills River, NC 28759 with special guest singer Elaine Silver (828) 891-8700. 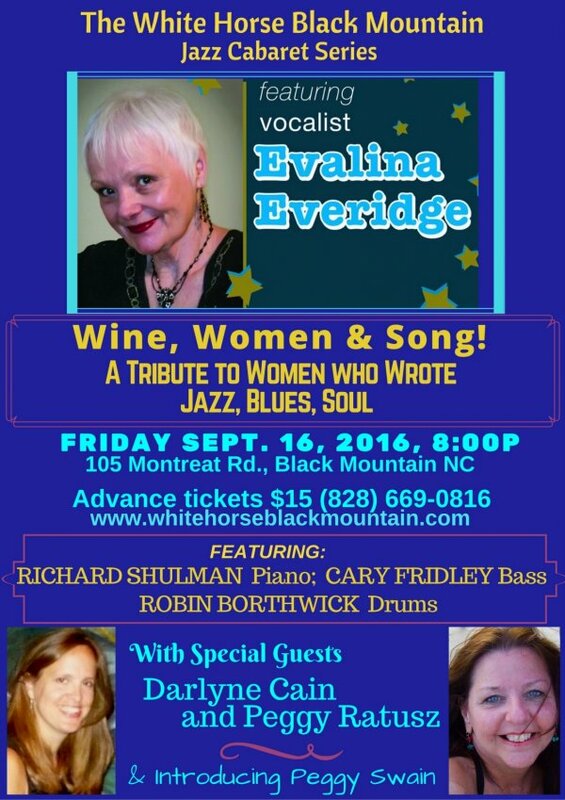 Fri. Sept. 16, 8:00 pm playing piano for Evalina Everidge and "Wine Women & Song, a Tribute to Women who Wrote Jazz Blues & Soul"
Sat. 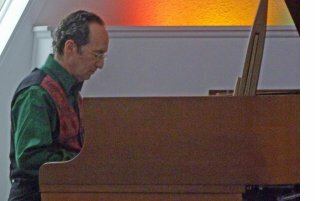 Oct. 29, 7:00 pm Wendy Jones & Richard Shulman at the Classic Wineseller 20 Church St. Waynesville, NC. For Dinner and Music reservations call 828-452-6000. RESONATE : Asheville Special Event! RESONATE creates a unique annual event located in urban Asheville, NC based in vibrational wisdom and alternative, non-invasive healing modalities, such as sound. 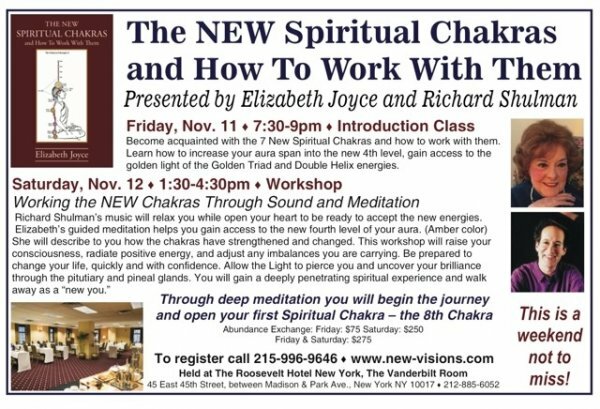 Through the direct experience from inspired movement to deepening meditation, we offer creative environments for consciousness exploration. Our goal is to inspire transformation from the inside out. We are here to remember and reintegrate our innate ability to replenish and restore our own energy. From philosophy to physics, from song to dance, our mission is to create connections of synergy that inspire You to live joyfully from embodied wellness, through informed science and cutting edge applications of ancient wisdom for a more balanced and transformed future. Featured Artists include: Porangui, Dr. Mickra Hamilton, Paradiso and Rasamayi, Brian Piergrossi, Dale Allen Hoffman, Richard Shulman and many more. HOLD THE DATE ON YOUR CALENDAR NOW! :-) We have 21 hours of programming, over 2 full days! We are still taking volunteers! If you want to be involved, please contact Liz. Register in advance for the full festival for only $45! A portion of proceeds go to benefit the Life Arts Programs at Art Studio World (npo).